We offer exclusive luxury Day Tours in our fleet of premier vehicles. Our drivers provide guided tours of fascinating venues ensuring a truly memorable tour in Ireland. There are many cultural and historical attractions in and around Dublin which should not be missed by visitors to the Capital city. 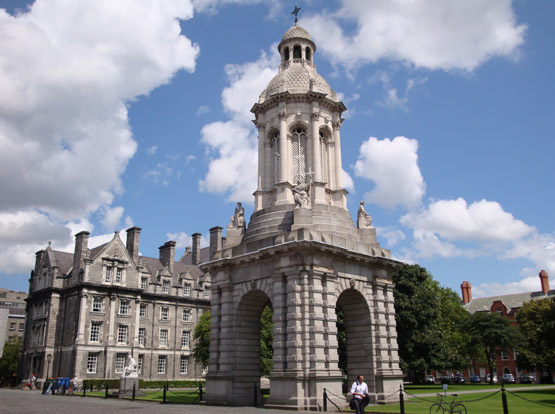 Dublin has a long and storied history, full of fascinating events and personalities. It also is a very modern and energetic world capital – there really is something for everyone. But Ireland has more to offer – you can experience the remarkable and fascinating history of our vibrant cities on one of our Day Tours – experience the buzz and excitement of Dublin, the relaxed arty-culture of Galway or the rebellious (and hilly!) Cork City. Our day tours may also include visits to other tourist attractions in the counties surrounding Dublin City. Visitors to the historic city of Kilkenny will be astounded by the magnificent and ancient Kilkenny Castle. Perhaps a visit to the Kennedy Homestead in New Ross, Co. Wexford will be of interest to our American visitors. In the beautiful Co. Wicklow – also known as the Garden of Ireland – is the beautiful Powerscourt House overlooking the rolling hills and peaks of the Wicklow Mountains – only an hour’s drive south of Dublin City centre. You might also want to dip into our very ancient history with a visit to the site of Newgrange in the Boyne Valley in Co. Meath. This incredible Stone Age construction is older then the Pyramids in Egypt! Whatever your preference, from exciting & vibrant cultural urban centers to the historic and ancient sites of Irish history, there is something to thrill everyone. Our driver will provide a guided tour of the venue of your choice, ensuring a deeply satisfying tour in Ireland.